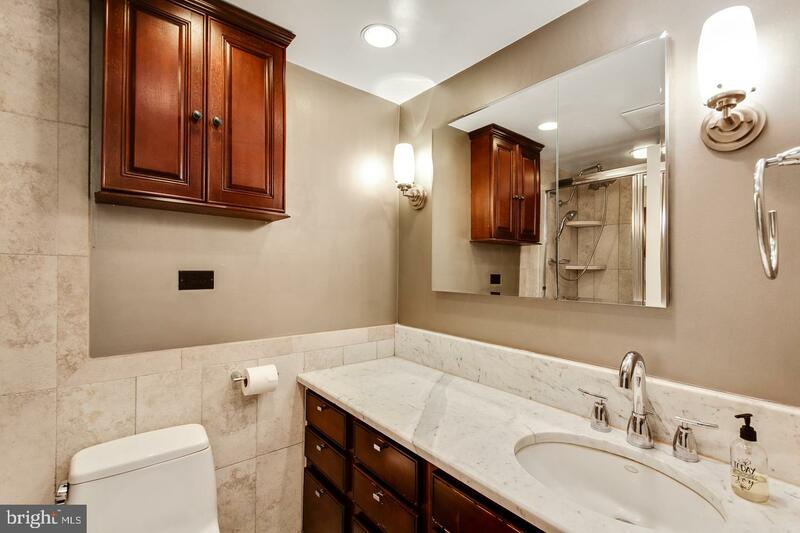 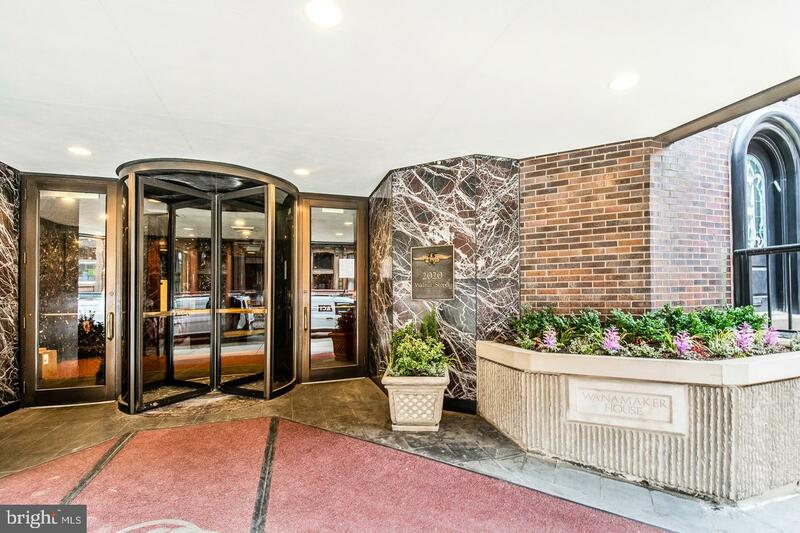 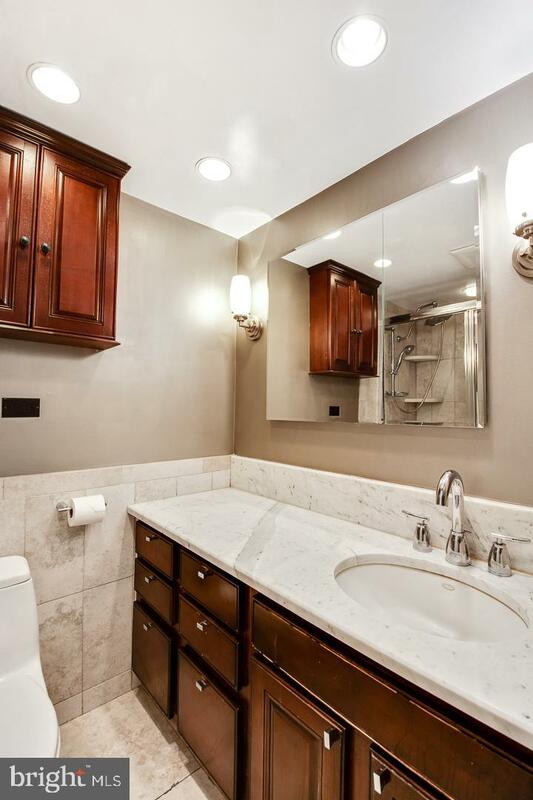 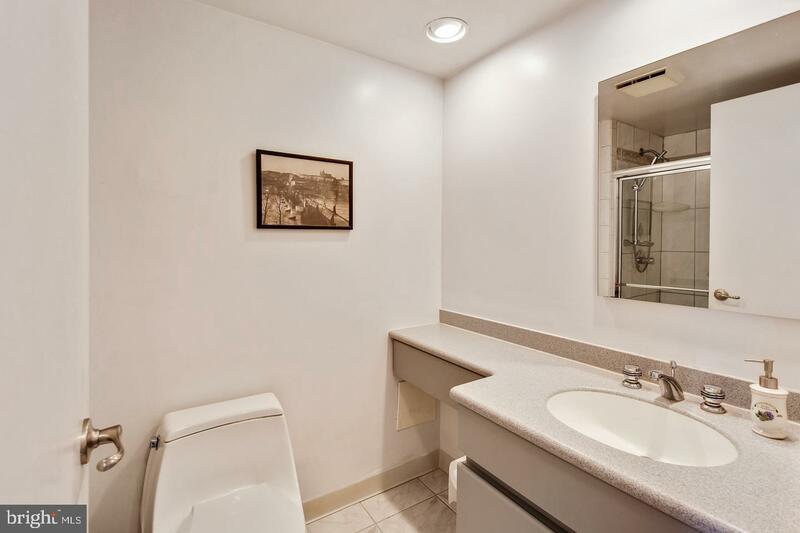 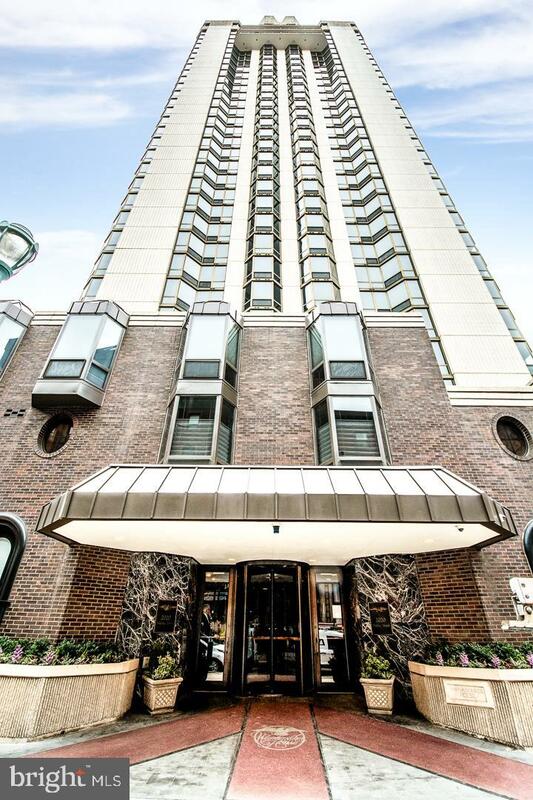 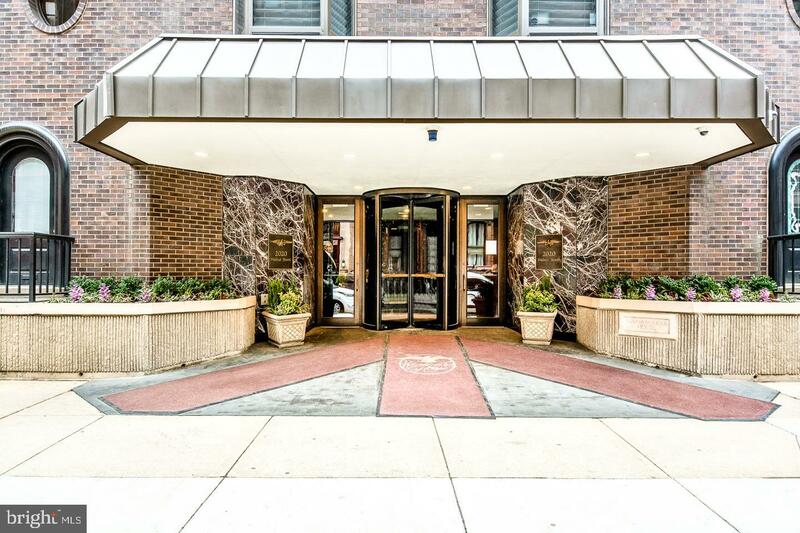 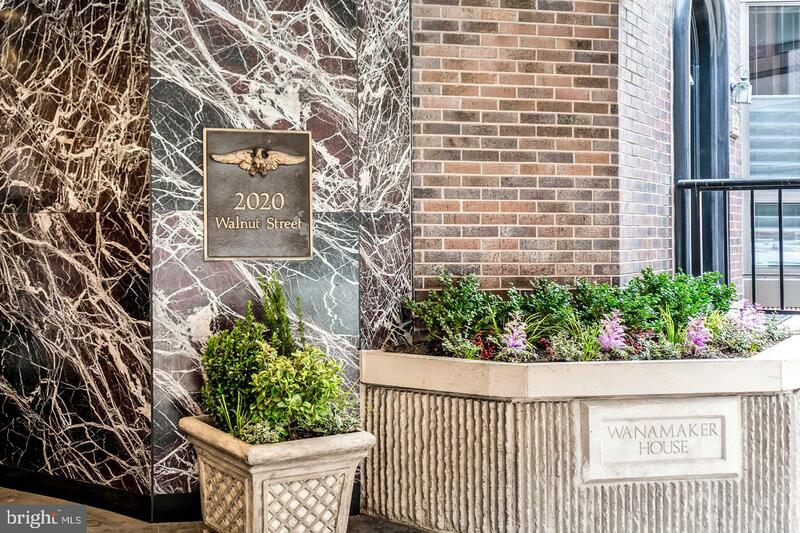 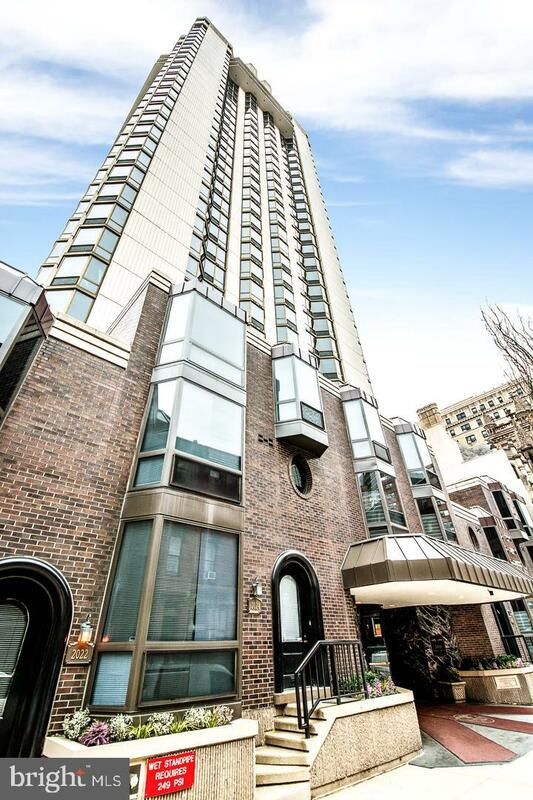 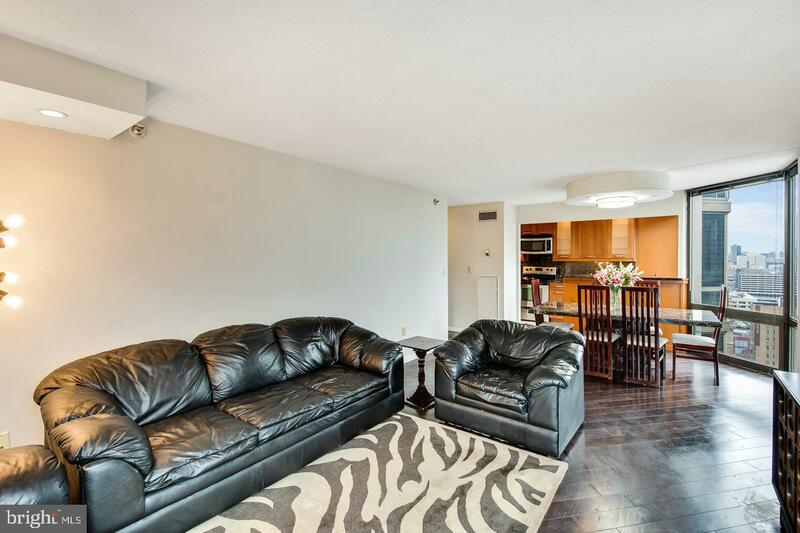 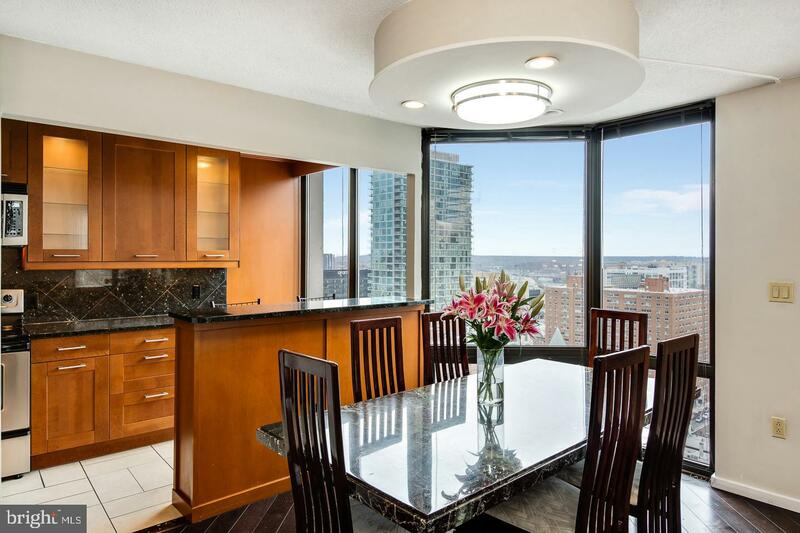 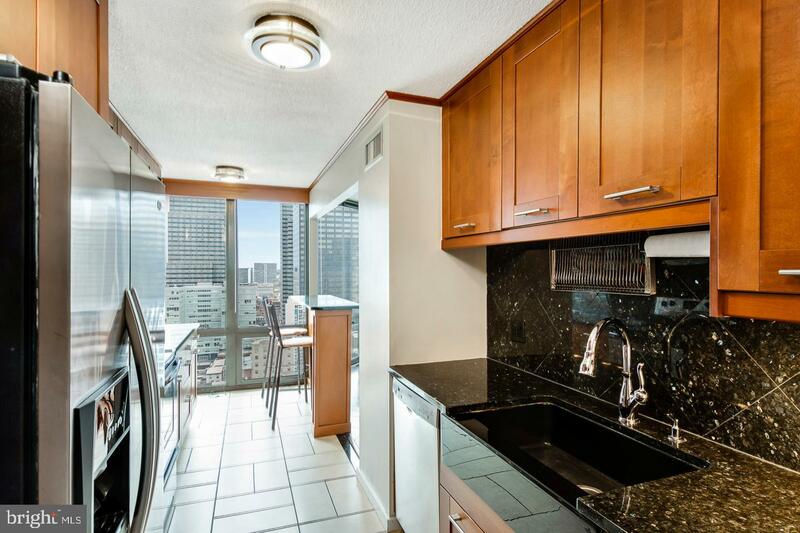 Rarely available, high-floor, 2-bedroom, 2-bath condominium in the desirable Wanamaker House. 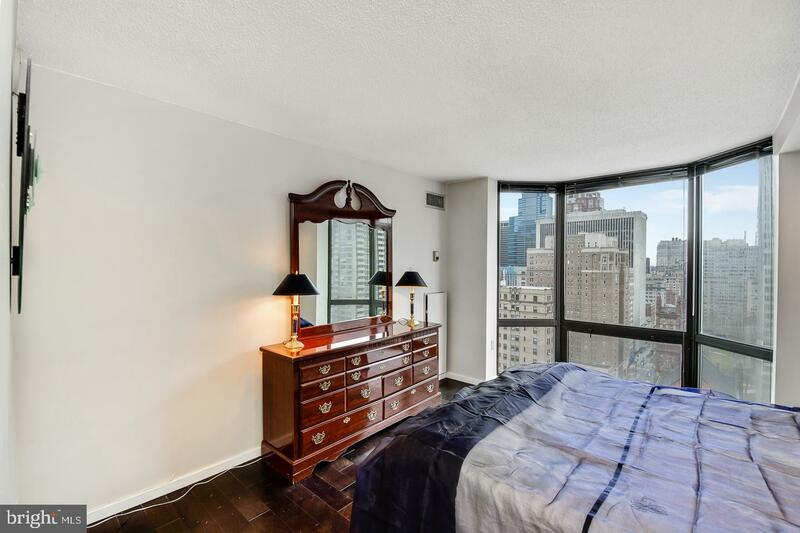 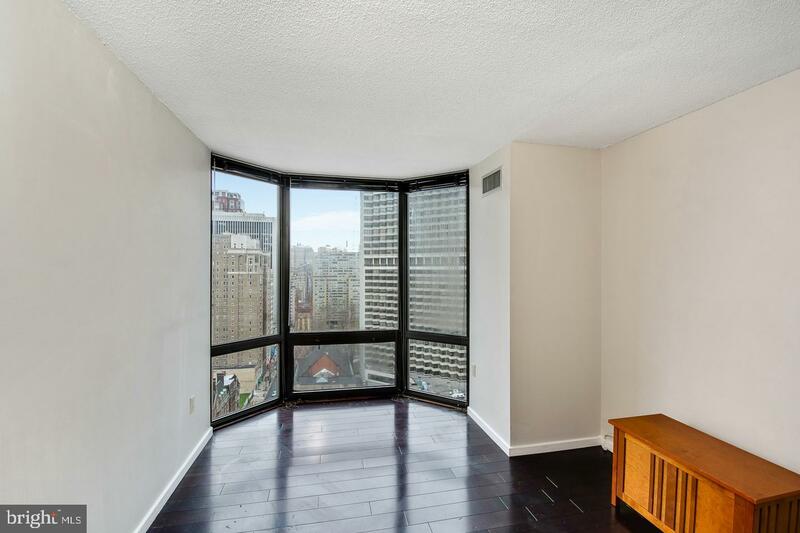 Located in the most desirable northeast corner you will be captivated by the floor-to-ceiling bay windows that have the best views in the building. 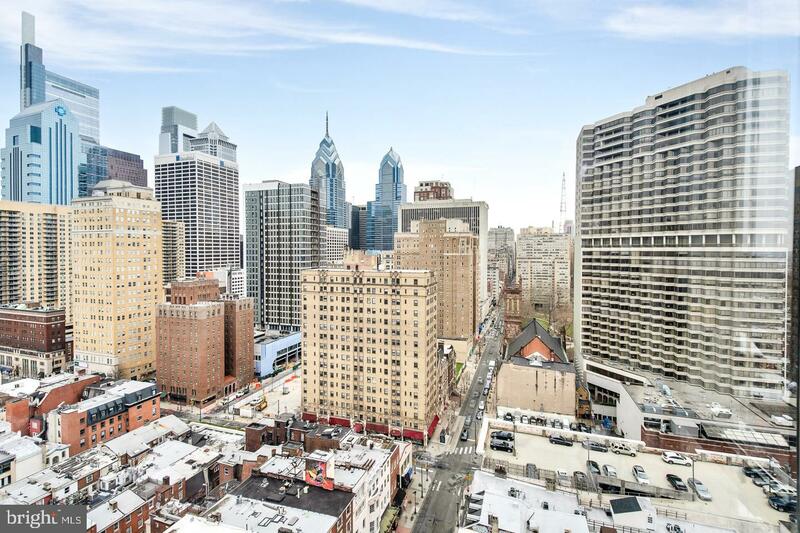 Capturing the Philadelphia's Skyline AND Rittenhouse Square from every room! 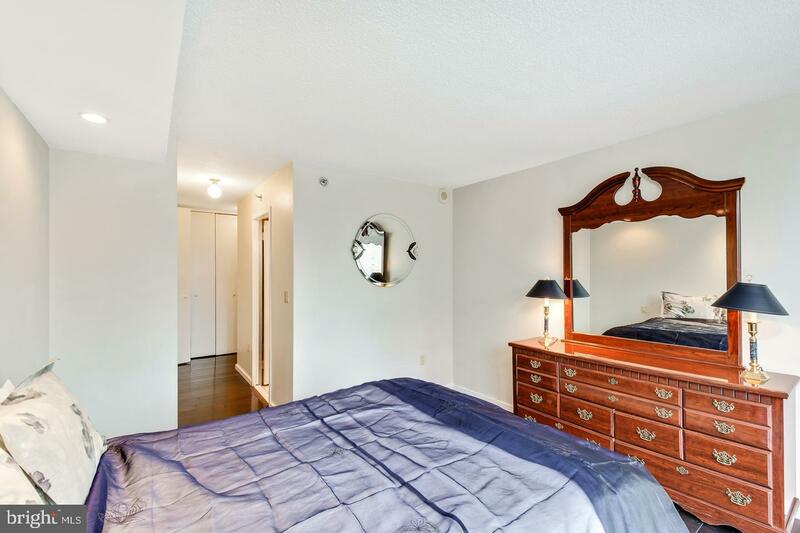 Situated privately in a nook on the floor, you enter into the residence from a long and elegant gallery hallway. 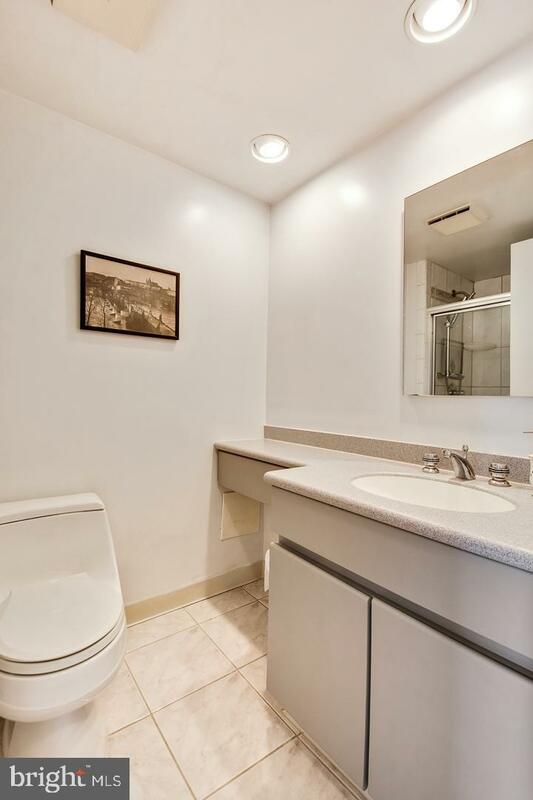 Perfect for showcasing artwork. 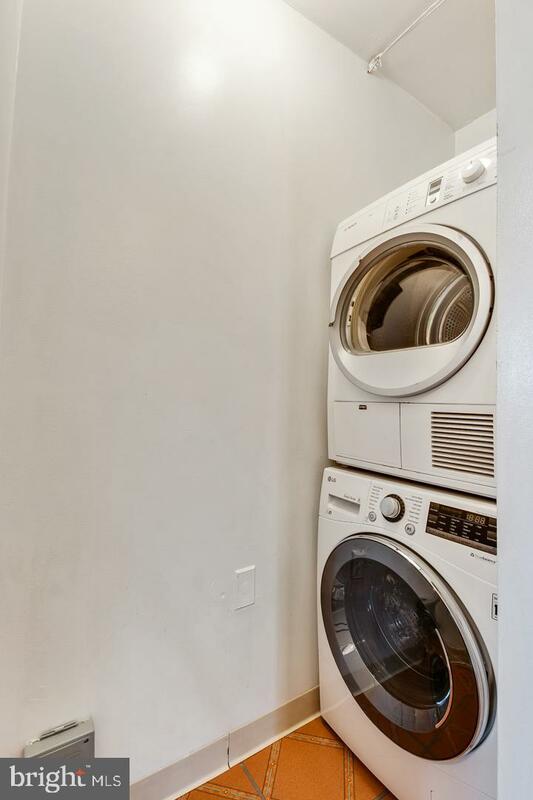 This entirely renovated, beautiful 2-bedroom, 2-bath home has a new remodeled, and meticulously thought out Eat in - Chefs Kitchen. 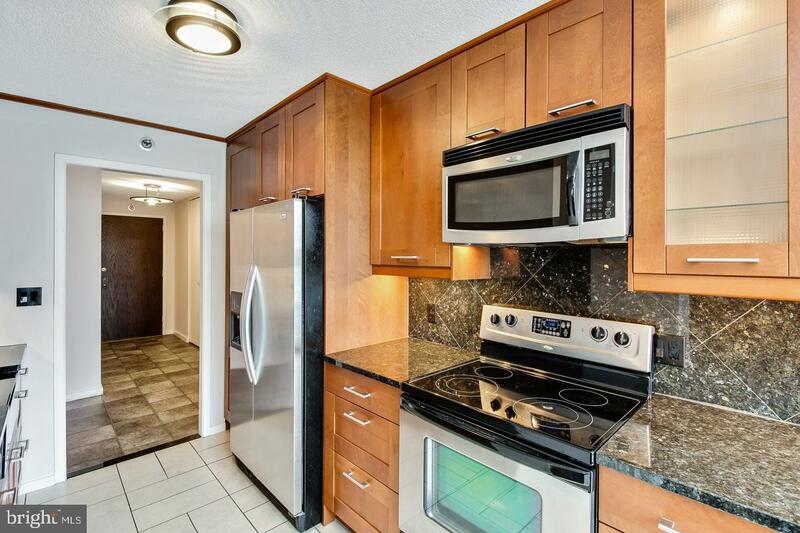 Boasting Granite counter tops and back splash, Stainless steel appliances, updated eat-in kitchen, a spacious great room, In addition, there are two bedroom suites, one perfect for a den/office/guest room and the other a private master suite with wrap around closets boasting custom build outs, a convenient laundry room, and a newly remodeled on-suite bath with new soaking tub, marble top vanity. 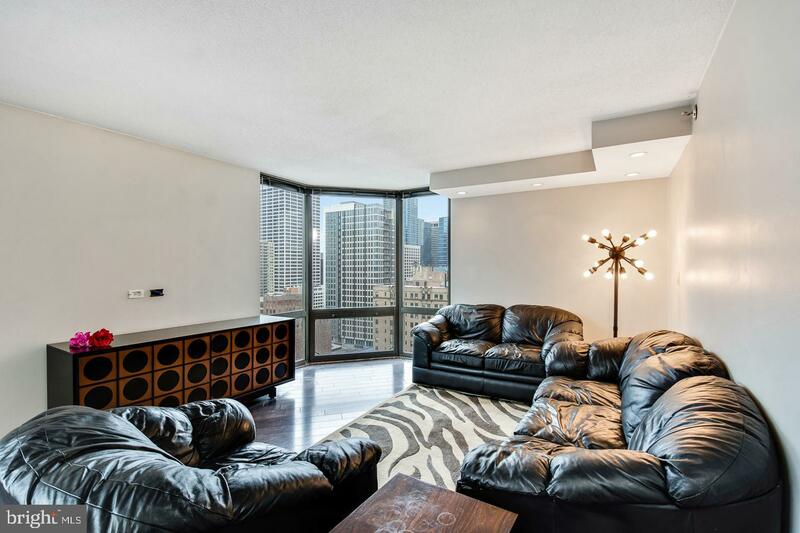 Hardwoods though out, custom lighting, and attention to detail set this apartment residence apart from all others. 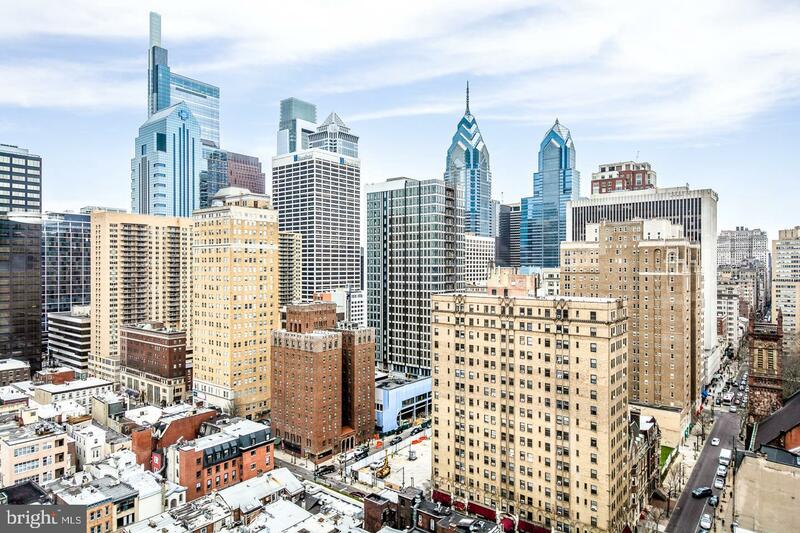 The Wanamaker House is a 24 hour doorman building located one block from Rittenhouse Square, and just steps away from the city's finest restaurants, cafes, shopping, and transportation. 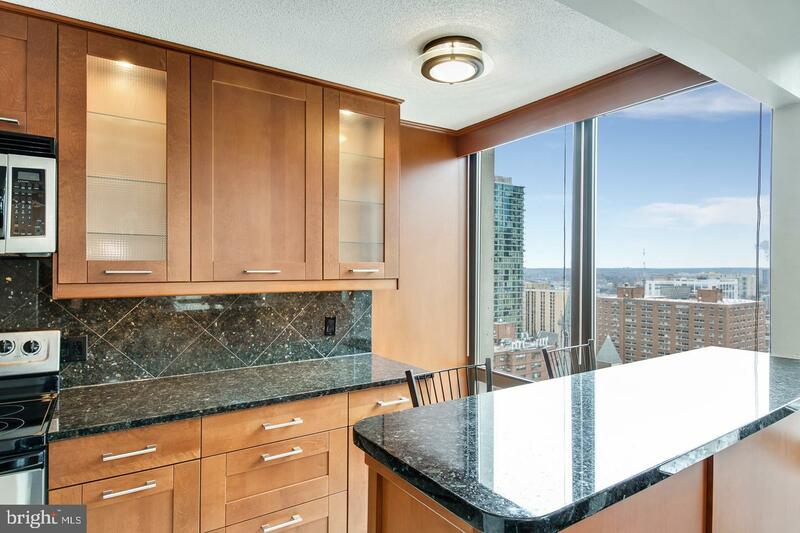 Other amenities include a rooftop seasonal pool with 360 degrees of panoramic views of the entire city! 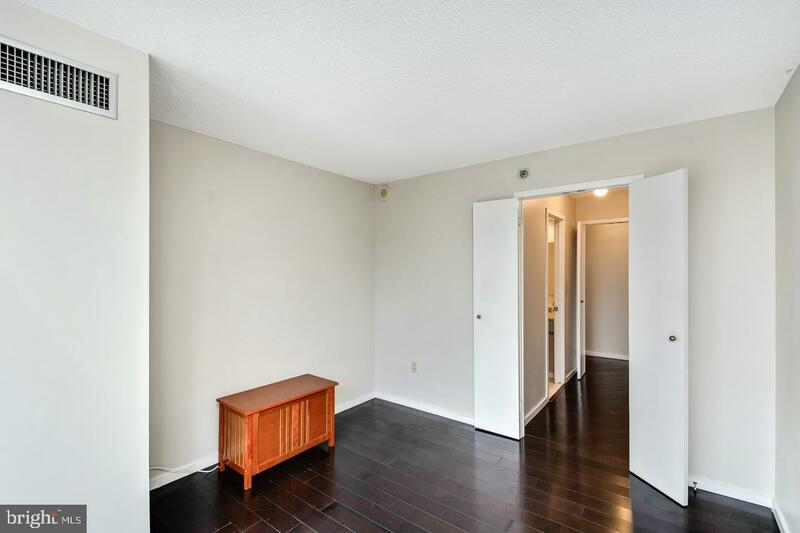 There is a garage in the building with garage spaces which become available for both sale and rent with private owners. 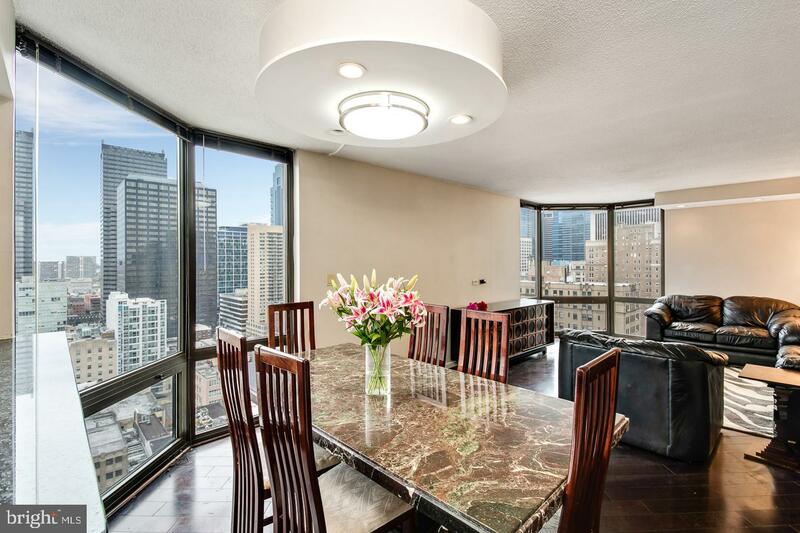 This is city living at its best!